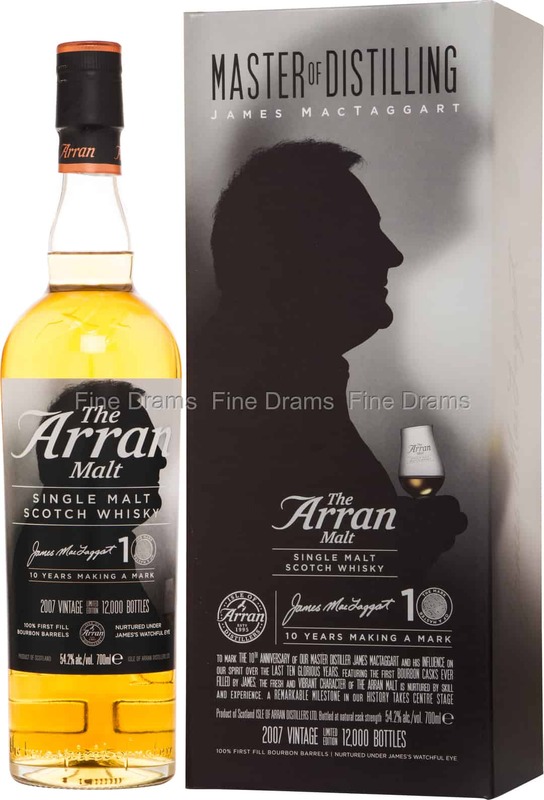 A special bottling from Arran designed to remember a special person at the distillery. This whisky was created to celebrate the 10th year at the helm for Master Distiller James MacTaggart, who’s silhouette adorns the label. The whisky was distilled in 2007 and has been aged for 10 years in first fill Bourbon barrels. A classic example of Arran’s spirit, this whisky is full of flavours of citrus rind, boiled sweets, apple pie, pepper, earthy coriander, sea spray and vanilla. Bottled at a robust 54.2% ABV, this is a luscious, delectable dram. Top stuff from the young distillery.